Obituary – Matthews, Lowell Eugene “Gene” « Perry High School Alumni Association, Inc.
Football 48-49, Basketball 48-50, Band 49-52, Class Assembly 48-49. Funeral services for Lowell Eugene “Gene” Matthews, age 73, of Perry, OK are scheduled for 2:00 P.M. Saturday, March 8, 2008 at the Zion Lutheran Church with Pastor Dan Thimell officiating. Interment will be in the Grace Hill Cemetery. Family will greet friends from 6pm-8pm Friday, March 7, 2008 at the funeral home. Mr. Matthews was born on June 25, 1934 to Miles Duncan and Maggie Mae (Gaines) Matthews in Konawa, OK. 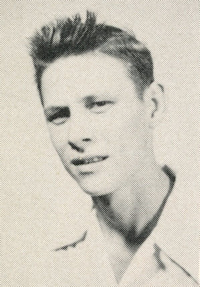 He grew up and attended school in the Oklahoma City and Perry area later marrying Margaret Marie Beier on August 27, 1954 in the Zion Lutheran Church. 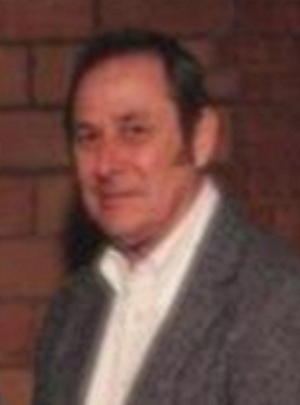 Mr. Matthews graduated from Oklahoma University in 1960 with a Bachelor of Science in Petroleum Engineering. His career spanned 40 years of oilfield service with companies which included Chevron, Louisiana Land & Exploration, and Computalog. Gene was very involved in the Evergreen Presbyterian Ministries Inc. in Louisiana, which included 10 years on the board of directors in various capacities helping people with disabilities build better lives. His hobbies included; cub scouts, coaching little league and was an avid OU fan. The highlights of his life were his family and spoiling his grandchildren and great-grandchild. Mr. Matthews passed from this life to be with his Lord and Savior on March 2, 2008 in Perry, OK. He is survived by his wife, Margaret, of the home; four sons: Mark Eugene Matthews of New Orleans, LA, Bruce Allen Matthews of New Orleans, LA, Roger Wayne Matthews and wife Deanna of New Orleans, LA, and Keith Edward Matthews of Natchitoches, LA; two sisters: Betty Baetz and husband Don of Perry, OK, Deanne Harms of Anchorage, Alaska; three grandchildren: Nicholas Levi Matthews, Christopher Wayne Matthews, Kayley Matthews; and one great-grandchild: Owen Robert Matthews. He was preceded in death by his parents; brother, Chris Matthews; and 2 sisters: Sue Myers and Virginia Edgar.